While you can, without a doubt, learn a lot by searching the internet or reading a book, there is a lot more to gain from the many fantastic marketing minds who share their insight─especially on Twitter or their blog. There are an extraordinary number of individuals moving and shaking the current worldwide business environment. They’re doing this by reinven ting enterprises that previously were beginning to feel stale to those in the businesses and to those who are dependent on their products and services. From prolific bloggers to social networking strategists to revered marketing publications, many unique voices are examining the most recent patterns and giving their one of a kind viewpoints about inbound marketing. With all of these individuals, how to choose the best ones to follow? 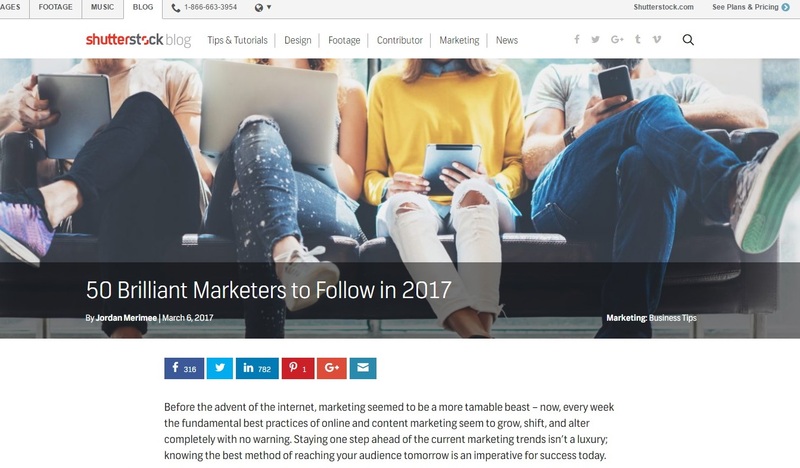 To help you decide, here are a few of the best Brilliant Marketers to Follow in 2017. Murray Newlands is on that list, as well, Newlands has been involved in numerous successful startups and has served as a mentor and investor for other entrepreneurs. Moreover, he is a speaker and Entrepreneur.com contributor, dabbling in all things entrepreneur and tech.